The little princess loves her fairy tale palace where she has wonderful adventures with her unicorn, cat and frog king! 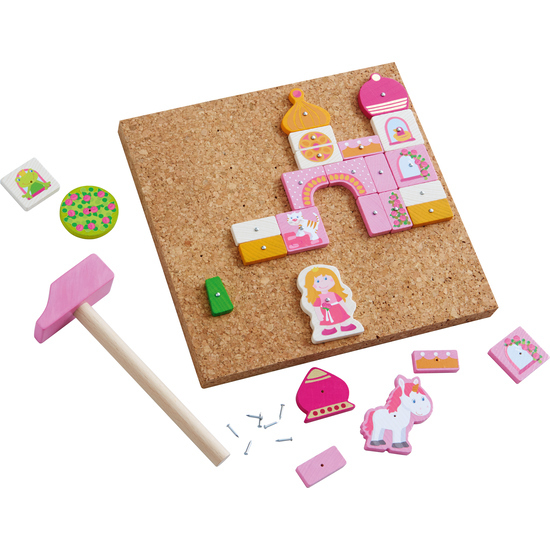 Tack zap Fairy tale palace stimulates fantasy and creativity. And by-the-way, children boost their concentration capacity and fine motor skills. Contents: 26 wooden shapes (3 mm thick). Warning. Not suitable for children under 3 years. Sharp corners and points can cut and stab.